The Sew Together Bag is a multi functional bag and ideal for sewing supplies, toiletries, makeup, and more! There are three zippered pockets and four open pockets on the inside. 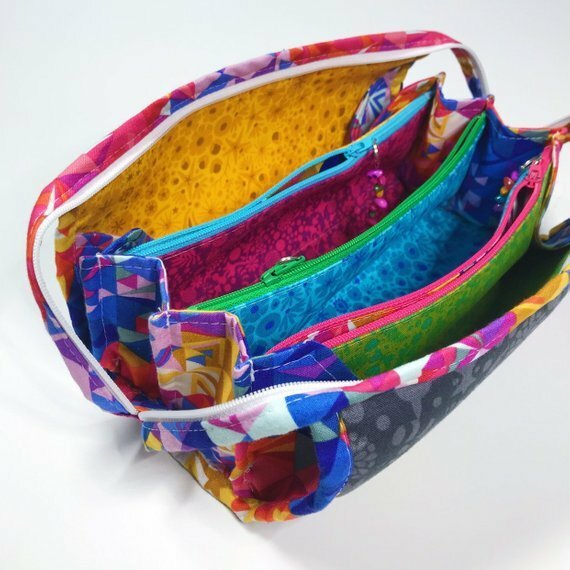 All of this is smartly held together by a zipper that forms two handles!